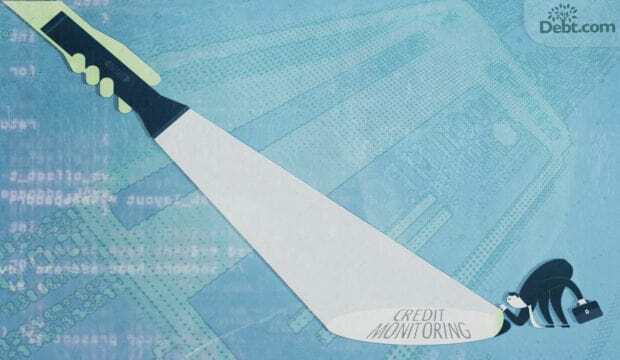 Debt.com » Credit Monitoring » What Is Credit Monitoring? Get to know the process to see if you need the service. You want a better credit score, but how do you get there and what tools do you need to really be successful? This is exactly the role that a credit monitoring service fills – it’s an engine you can use to drive you from the Point A of bad credit to the Point B of better credit. You don’t necessarily need credit monitoring to build better credit, but without it the best you can really do is make educated guesses about the impact your actions are having on your credit score. A credit monitoring service allows you to keep the closest eye possible on your credit. You can check your credit score as often as you like and track changes in your credit report from each of the three credit bureaus. Without credit monitoring, it can be difficult to get your hands on your actual credit score. By law, you can get a free copy of each of your credit reports once per year, but that doesn’t include your score. A few credit cards will actually provide your score or you can pay to get your score from each credit bureau. But with credit monitoring, you can watch your score daily and monitor your account activity with ALL of the credit bureaus with just one signup. If you’re not a big credit user – i.e. you don’t have a lot of credit cards, you don’t take out loans regularly and you generally like to live a cash-only lifestyle, then you may not need credit monitoring. You’re working to build better credit. If your credit score is low, you’re just starting out, or your trying to rebuild after something like bankruptcy, then a credit monitoring service can be useful as you build your way to a better credit score. You want to be a master of your credit 24/7, 365. If you’re using a lot of credit and want to keep your score maximized at all times, then maintaining a credit monitoring account is the best way to make that happen. You’re worried about ID theft. Whether you’ve already been a victim and are worried about fraud or you’re just concerned that your information has been compromised, then credit monitoring can also be used for ID theft prevention. Do I need credit monitoring forever? 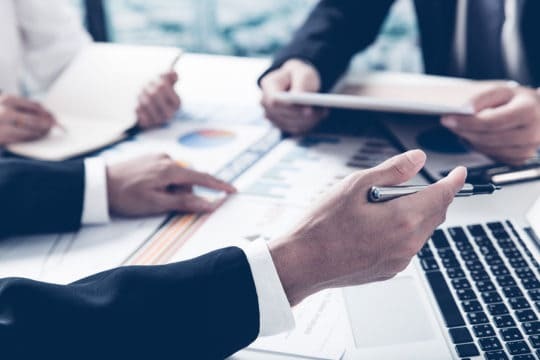 Not necessarily – if you get the service for something specific, like watching your accounts after a credit card gets stolen or rebuilding your credit after bankruptcy, then you will probably only need to use the service for a limited amount of time. Of course, if you fall into the second group mentioned above, then you may choose to keep your credit monitoring account open indefinitely. Many consumers find it useful to have a credit monitoring service because it helps you be strategic about getting new lines of credit and loans. You can use credit score simulators to see how your actions will impact your credit and can make sure to maximize your score before you apply for something. Can I get credit monitoring through a bureau? The credit bureaus will give you your credit score if you pay for it and they offer credit monitoring services (they’ll even show you info from the other two bureaus) but of course, a credit monitoring service through a specific bureau can be biased towards their own reporting on you. For example, they often will provide alerts on credit report changes from the other two bureaus, but they only give you their score. Since each bureau gives you a different score, this only gives you part of your credit story. By contrast, most independent credit monitoring companies give you all three reports and all three scores. Fact: Creditors and lenders check your credit score from all three credit bureaus when you apply for a new credit line. Note: Not all third-party providers are independent! This is particularly true for free credit monitoring services. It may seem like they give equal time to all three bureaus, but they may be sponsored or partnered with one bureau specifically. As a result, they only show you the score from one bureau so you don’t get the full story. True or false: Every consumer has three credit scores. Every consumer has numerous credit scores. Besides the scores from each bureau, you also have a FICO credit score. Creditors may also generate their own calculations to include risks specific to their business.